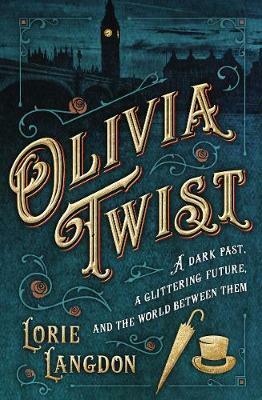 Olivia Twist is an innovative reimagining of Charles Dickens' classic tale Oliver Twist, in which Olivia was forced to live as a boy for her own safety until she was rescued from the streets. Now eighteen, Olivia finds herself at a crossroads: revealed secrets threaten to destroy the "proper" life she has built for herself, while newfound feelings for an arrogant young man she shouldn't like could derail her carefully laid plans for the future. Olivia Brownlow is no damsel in distress. Born in a workhouse and raised as a boy among thieving London street gangs, she is as tough and cunning as they come. When she is taken in by her uncle after a caper gone wrong, her life goes from fighting and stealing on the streets to lavish dinners and soirees as a debutante in high society. But she can't seem to escape her past ... or forget the teeming slums where children just like her still scrabble to survive. Jack MacCarron rose from his place in London's East End to become the adopted "nephew" of a society matron. Little does society know that MacCarron is a false name for a boy once known among London gangs as the Artful Dodger, and that he and his "aunt" are robbing them blind every chance they get. When Jack encounters Olivia Brownlow in places he least expects, his curiosity is piqued. Why is a society girl helping a bunch of homeless orphan thieves? Even more intriguing, why does she remind him so much of someone he once knew? Jack finds himself wondering if going legit and risking it all might be worth it for love. Olivia Twist is a jacketed hardcover with decorative embossing. Olivia Twist was born an orphan. At the doctor's behest, she was raised as a boy and lived her life on the street disguised as such under the tutelage of Jack, the Artful Dodger, who was none the wiser of his mate Ollie's true identity. Now, at 18 years old, Olivia Brownlow has taken the name of her adoptive uncle, whom she met in a heist gone awry. Leaving her past behind, except for a gang of street-dwelling orphans whom she aids, Olivia takes a spot in London's high society and is on the brink of engagement to the rich bachelor Max Grimwig. However, when she meets Jack MacCarron, who is none other than her childhood mentor--the Artful Dodger--with his own new name and benefactor, Olivia's plan to marry well is derailed and their shared past proves irresistible to both of them. Yet when Olivia's orphans are threatened by a turf war with the nefarious Monks, she feels cornered into the only means available to save them. With many twists and turns, some less-than-plausible and many slightly too-tidy, Langdon of 'Doon' series fame serves up a delightful, action-packed historical tale. Perhaps most enjoyable for those familiar with Oliver Twist in its original literature and Broadway musical forms, this title is nonetheless a compelling, gender-flipped romp through Dickensian London. VERDICT An additional purchase where historical fiction or romance are popular. Lorie Langdon is an Amazon bestselling author of six YA novels, including the Doon series, Gilt Hollow, and Olivia Twist, which received a starred review from Booklist Magazine and is being sold in Target Stores across the nation. She is an international speaker who has been featured on media outlets such as USAToday.com, NPR Radio, EntertainmentWeekly.com, RedbookMagazine.com, Girl's Life Magazine, and BroadwayWorld.com. Her first novel has been optioned for film by Dreamstreet and Lonetree Entertainment. She is a self-professed Wonder Woman Wannabe who lives in Ohio with her husband and two superhero-obsessed teenage sons.